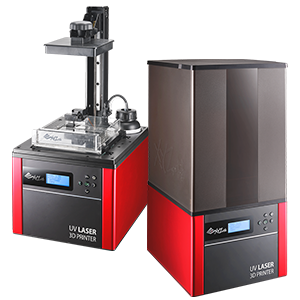 The Nobel 1.0 is a highly accurate, consumer-grade desktop SL Laser 3D printer with a print resolution up to 300 microns and a layer thickness of 25, 50, and 100 microns. It is designed to achieve superior print results for users of all levels at an affordable cost. 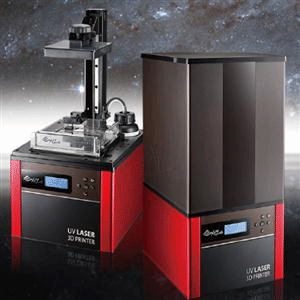 Nobel 1.0A SL Laser 3D printer has an enhanced Laser Scanning Unit (LSU) that improves the precision of the engine’s laser to 130 microns X/Y resolution and up to 25 micron layer thickness. The LSU results in higher accuracy for spectacular complex and intricate details. 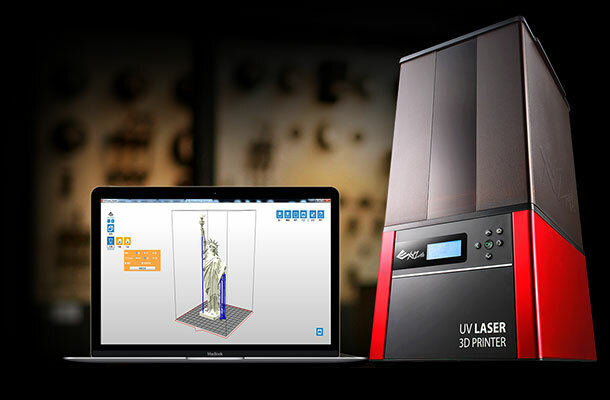 Has improved slicing speeds by 20％ and is able to automatically analyze the features of the model and add support structures where necessary. The Nobel 1.0A is compatible with various resin materials, such as multi-colored acrylic resins, flexible resin, and castable resin.Each of these resins provide their own unique application, from creating durable prototypes to creating castable jewelry. Note: Product features, price and specification are subject to change without notice. Note: Manufacture direct 1 year warranty.